Yeah. I'm not gaga enough over this toy enough to covet it like others do, in part because I dont have enough cash to even try and I feel that this one is something that I can enjoy the same just by looking at the pics. I also am not literate enough on the history of it as much as others are, so that takes away from my understanding of it too. Those balls are neat and cool, but not so much in my eyes to spend a small fortune on them. Sorry, I'll stop jacking this thread. Anyone see these before? I'm not really a mask collector but really like them, so every once in a while I spend a few hours on the internet looking up indie mask makers I've never heard of before. 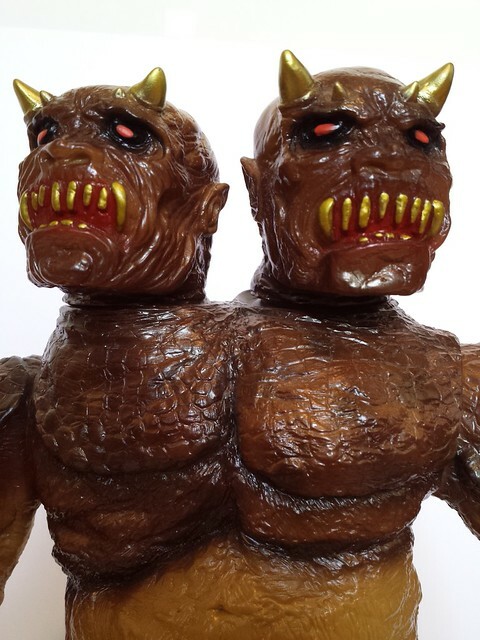 Apparently Devil's Workshop has made 2 masks based on the same illustration 2 Headed Bemon is based on. Nice work too if you ask me. If this is innapropriate to post I'll delete or edit out. Just let me know. Interesting. Considering what this guy went for, I guess it's got to be a prototype/gift..? I don't recall any of the painted 2HBs with a pink base. I wonder if it's going to be used in the future. It's actually pink GID, and there were other unpainted GIDs too (I remember seeing plain GID and green GID). A final run with the hat/shirt release? edit: yep the description says GID: "[Shibuya Store] BEMON 双頭巨人 (ピンク/蓄光成型/PINK G.I.D/未塗装) *最初からこの状態です。"
Yes, the pinkish one is gid. Saw it while its still in the physical store, looks really good but alas, the price is prohibitive. There was also a crystal clear unpainted 2head which maybe looks second best after the black unpainted. But that one goes for a whopping 600+k! These weren't part of any final release though. 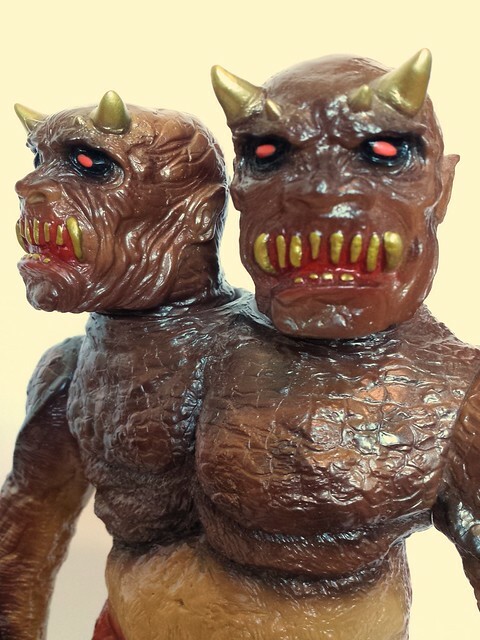 Still wonder why svhc would retire such a successful sculpt all of a sudden. ^ McNuggets in their "natural" form right? Any chance you took a shot? Unfortunately not...as I always thought Mandarake doesn't allow photos in their shop. I'll let you watch the chewing-off part for $5250 + 5% PP fees. Nice pile of pink slime...This somehow brought back good memories of old band art I did for the Sperm(Unfortunately that's not a typo). Just received some 'not so giant' minis! ^ ^ ^ The underrated yellow 2H, one of my favourites. So well painted, shots hardly ever capture the details. I'd rather just forget that they even existed, if that's alright. Goodness gracious. Pardon the x-post, I'm excited as hell to have finally landed this guy. Congrats, dude! 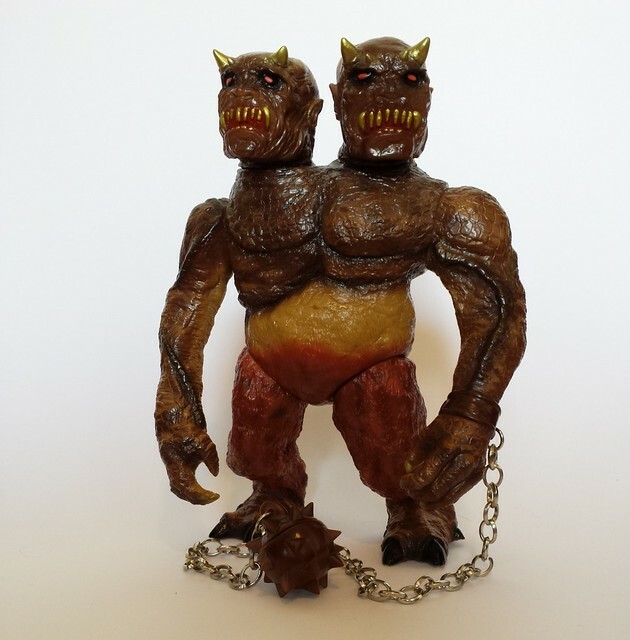 A 2-headed giant is one of the toys I wanted when I first got into this hobby, but rarity and price scared me off. 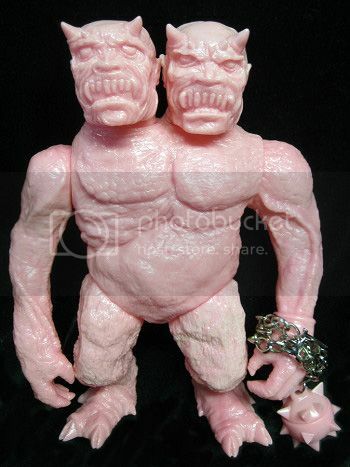 Was the Pink GID in 2013 the last release of the 2-Headed Giant?